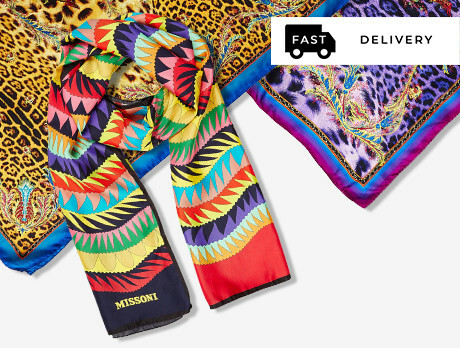 In Missoni and Cavalli, we have two contemporary masters of the scarf. Our collection follows some of their hallmarks in vivacious animal prints and striking zig-zags. Add to that some long Missoni socks and an astonishing wool blend poncho to complete preparations for this and many more winters to come.